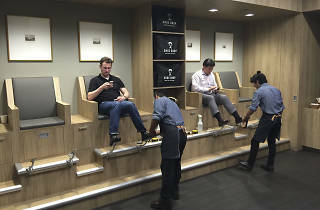 This Chicago-based company (and now brick-and-mortar store) brings you the skill of your local cobbler with the convenience of, um, your iPhone? Simply download the app, find the nearest shoe drop location (be it at your local dry cleaner, office building or high-rise), your choice of services—shine, clean or repair—and handle your payments with a few swipes. You'll even get text notifications updating you on the status of your shoes, which are taken to Shoe Drop’s 4,000-square-foot facility on the West Side for service. Easy peasy. 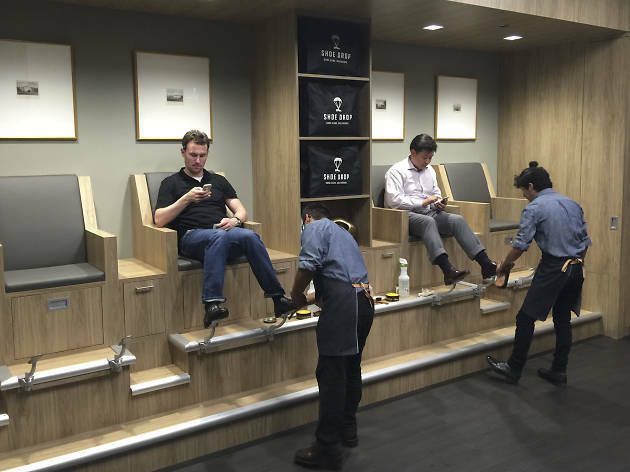 Seeking a more traditional shoe-shine experience? You also pay a visit to the company's brand new River North storefront in the swanky 353 North Clark office building.